Coalition Fatalities by location across time. Old Maravot chart showing National Debt & Annual Deficits with Presidents. Democrat administrations are blue, Republican in Red. Green reflects projected Bush debt. Click chart for larger image. The Chart Showing the National Debt above is far more than projected, of about $11.3 trillion. See "The debt to the penny," publicdebt.treas.gov. Israel by the UN in 1948. 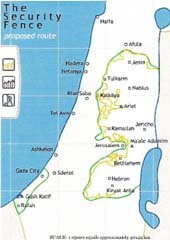 Compare to Israel' s map below of its security wall. Middle East Media Res. Inst. SAN FRANCISCO, Ca. - Borrowing to fund unexpected expenses is a practice most people and governments may resort to from time to time. But from the days of Cicero until now it has been agreed that excessive borrowing by a government can result in economic collapse, or bankruptcy. One of the factors involving the collapse during the "Depression" involved speculation of stocks using borrowed money, following a theory that the market will always go up. When the market began to collapse those who owned stocks purchased with borrowed money were asked to pay up. Suddenly they were asked to cover a debt that was more than the value of the asset. This is a problem that has continued to this day, in the realm of commodities and, in view of the current crisis, real estate. When people and institutions abandon a debt obligation, they leave the holder of the loan at risk. Such is what happened to the world's financial institutions beginning in September 2008. Complicating the matter was the failure of the Bush administration to govern risky financial operations that would leave the financial industry vulnerable. The advent of "variable rate loans" forbode such vulnerability and became a prominent factor in the economic collapse. Investors (commercial and homeowners) bought property on the criteria that real estate values will always rise. This false economy, where property only increases in value, left the financial world vulnerable to the consequences of interest rate increases on property loans. People and institutions who had taken out variable-rate interest loans had believed that the value of their property would increase, and they hardly expected that they would get hit with a sizeable rate increase (because the trend had shown little change in interest rates). But in fact when rates did increase, often more than doubling, homeowners suddenly found themselves owing more on their mortgage than they could afford to pay. They began to default on their loans, turning the property back to the banks and institutions that owned the notes. Then the number of defaults reached a point where repossessed properties were being left to rot, as it were, causing a blight in the neighborhoods. This in turn caused real estate values to plummet, and with collapsing real estate values, more homes were abandoned — now owing to the fact that property owners owed more on their property than what it was worth. Next came a new phenomena called "subprime loans." Without a watchful eye upon them the financial industry encouraged buyers to purchase properties that they could not afford. The argument went like this, for a new homeowner: "Why pay rent? We can put you into a home of your own, and your payment will be less than your rent! Furthermore, since real estate values always go up, you will be able to refinance your home after a year or so." Other appeals by the financial industry suggested that homeowners ought to refinance their homes (from a fixed rate plan), using their equity to add on a kitchen, etc. The home improvement would, of course, add to the value of the house. Another appeal sought the senior population, suggesting that they ought to use the equity in their house now by taking out a loan that would use the equity in the home to pay living expenses. Under the Bush administration a new form of stock appeared in the financial markets, where the "subprime loans" that were risky were packaged in offerings with less risky investments and sold on the market. Home loans were no longer owned by the local bank but were now part of a larger portfolio, in a stock fund, and many of the portfolios included pension funds, investments of states, cities and municipalities, etc. The collapse of one subprime portfolio caused a city of Norway, who had placed all of its savings in the fund, to declare bankruptcy, for instance. We can see, therefore, that the entire financial system was vulnerable to a force that could cause interest rates to have a dramatic rise. 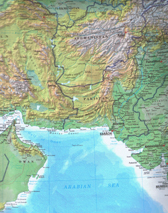 World oil and gas prices could have such an effect, and OPEC pointed out in 2008 that oil below $70.00 a barrel would not be adequate for them. They had been undergoing a building boom (particularly in Dubai) and needed at least $70.00 per barrel. They began rising prices, doubling the price of oil to ~$145 per barrel. This in turn caused a world-wide financial crisis in food, since a large part of the cost of food was in fertilizer (made out of petroleum products) and transportation (shipping and trucking). 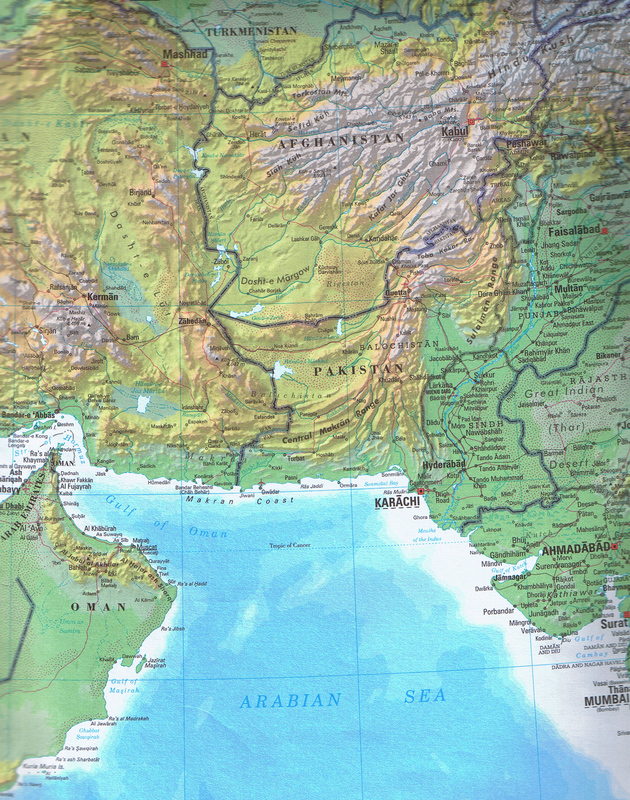 Responding to the rising prices of food products, particularly rice, rice-producing nations, such as Thailand and India, began to horde their commodity. Nations that imported food were now more vulnerable to the food crisis, and starving numbers in nations - particularly Africa - began to increase. The food crisis is not over, we might add. The "subprime crisis" and "petroleum-price-rise crisis" needed only one factor to tip the scale, setting off the collapse. That factor would be an increase in the cost of money, or an interest rate increase. This is where the Federal Reserve enters the picture, for it controls the "prime rate" of money borrowed by banks. Suddenly, after many years of keeping rates low, the Federal Reserve began successive increases in the prime rate. Matching the increases would be the "variable rate" loans of the subprime mess, as well as credit card and auto loans and loans to investors and businesses. From the early days of Federal Reserve Chairman Greenspan until now the argument for raising the prime rate has been to "stave off inflation." But under this innocuous argument was another more frightening, longer term specter than the subprime crisis. It was the National Debt (also called the Public Debt) which was financed through the sales of US Treasury bonds and notes. While congressmen and pundits who expound on the National Debt refer to it as "a debt we are passing onto our children," the opposite effect is more probable. It is a debt that affects our daily lives in the sense that since it is financed through bonds it involves the payment to the bondholder an interest payment. Interest on bonds is influenced by the prime rate. When the prime rate is increased bond values increase. The data below are provided as a record of the 2008 collapse. Tables on 2009 budgeted outlays and top ten central banks that own the US debt are from Maravot News 9.24.08. Compare the estimated $650 billion interest outlay for 2009, to the 2009 projections in the 2009 US Budget. Next to National Defense our single greatest 2009 budget outlay will go to foreign central banks and a few exceptionally rich bond investors! The estimated $700 billion bank and investor bailout of 2008 is added to our national debt and the actual cost of the bailout will involve increased mortgage rates, auto loan rate increases, etc. Because of the extraordinary size of the US National Debt — accelerated by Reagan, Bush I and later Bush II (Clinton actually paid down the National Debt by following a "no more borrowing, pay as you go" policy), finding buyers of bonds became more and more difficult as the debt increased over the years. For instance, the debt at the end of December 2008 was about $11.3 trillion, having gone from about $750 billion at the beginning of the Carter administration in 1976 (In 1981 Reagan moved the debt to ~$1 trillion). One of the problems with borrowing is the fact that if one does not pay down the principal or interest it will compound, and before long the borrower will be faced with interest payments alone that will bury him. Those who have owned credit cards can verify this phenomena. This is what has happened to the US, for interest on the debt, which we project to be $650 billion for 2009, based upon a National Debt of ~$13 trillion ($10.7 trillion plus ~$2 trillion pledged towards the "bailout"). The $650 billion can be compared to the original figure expressed for the "bailout" by the Bush administration, of $700 billion. This number was vociferously protested by many who thought that the financial institutions ought not to be bailed out. In Secretary of State Clinton's recent visit to China she expressed thanks to China in purchasing US bonds. China, Japan, the OPEC countries are some of the major central banks that own the US National Debt. She encouraged China to continue supporting the US and avoided the customary chastisements the US releases to China regarding human rights violations. The point here is that the US needs those who have been buying US bonds to continue buying. Since the current financial crisis is world-wide, many central banks around the world have themselves been marketing bonds and notes to finance the extraordinary borrowing required to keep their institutions and factories solvent. The competition in the "bond" market is heating up. While China has to sell a larger number of bonds than usual to prop up its economy, other governments are doing the same, causing more competition than usual in the bond market. At the beginning of the "subprime" crisis China and others began buying US Treasury notes and bonds, since the crisis was also causing currencies to collapse. During the collapse, having seen that commodities, such as oil, were not safe (oil collapsed from $145 down to ~$38 per barrel, at this date, about $44.00), central banks decided to buy US dollars and bonds, recognizing that even though the interest rate on bonds was low, they would be a safe place to hold their money for the time being. The next issue in the crisis involves "how to sell the bonds needed to finance the current deficit if demand for the bonds will diminish or evaporate." The solution to this impending crisis will be to increase the prime rate. Other central banks will be faced with the same concern, of increasing the redemption value of their bonds. This in turn would involve a corresponding increase in interest rates in general, of mortgages, business loans, auto loans and credit card loans. Those who are involved with the "variable-rate" scheme will be affected, of course. When the French Revolution began in 1789, one of the things that precipitated it was an enormous deficit the French Government had incurred as a result of their support — above all things! — of the American Revolution in 1776! In March 1788 the Old Regime of Louis XVI and his Bourbon Dynasty was reaching an end; and as it approached its end it was forced, out of necessity, to prepare a National Budget — their first and last. The Budget, claimed Georges Lefebvre, whose work on the subject was first published in 1939 under the title, "Quatre-Vingt-neuf," included expenses of $629 million livres [francs — This can be compared to $629 million in America in 1947— and revenues of $503 million, leaving a deficit of 126 million livres. The deficit (20% of their expenses) includes about the same differential as the American Budget and its Deficit in 1983, two hundred years later! 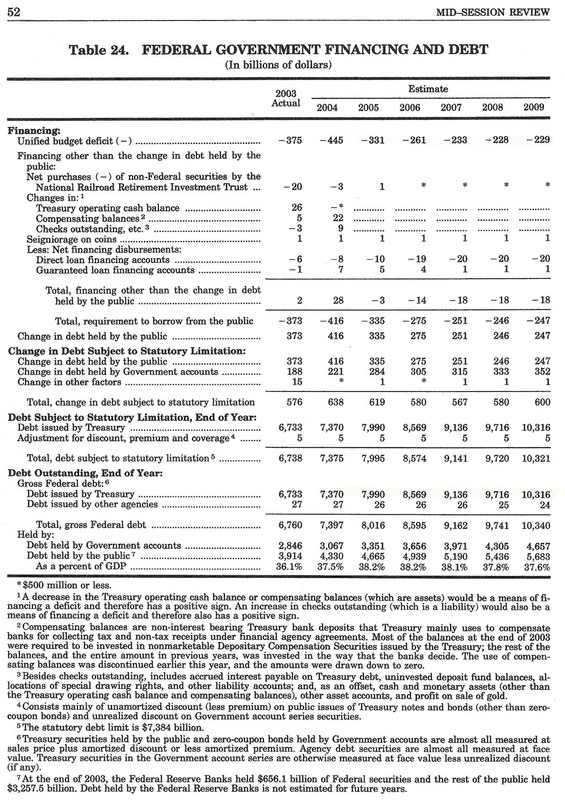 In 1983 President Reagan's Budget showed expenses of $808.3 billion against revenues of $600.6 billion, with a deficit of $207.8 billion ($128.8 Billion of this was owing against the then National Debt of $1.38 Trillion). The year 1983 trailed a major event in US history: the highest year of unemployment — 1982 — in the United States since the Great Depression. This was also when the stock market broke through the 2,000 barrier, of which we discussed in further detail in our work "Financial Institution Credit Watch" and its companion, "Against Leviathan." We can't here take the time to recall all of the events and factors leading up to the French Revolution of 1789-1792. But we can stimulate your mind with a few interesting comparisons. First the enormous debt was a boon to some but of course a disaster to the French nation, for in order to service the debt (make the annual interest payment against it) Louis XVI had to borrow more and more money, increasing the debt, and making the lenders who were already holding paper on the debt a bit nervous. Pressure from the Aristocracy mandated increasing taxes to service the debt; but at the time the French people were already over-burdened with taxes of all kinds, and the addition of more taxes would take its toll of more government intolerance and human suffering. The National Debt as maravot.com saw it in 1993. The actual debt in 1999 was ~$5.7 trillion, the growth being retarded by Clinton's "no more borrowing on the debt" program. Today, in 2009, we are looking at a $13 trillion debt. At the time the French were leading the world on ideas on Liberty and though they were governed by a long standing monarchy, they enjoyed rights and privileges not known to their neighbors and only comparable to the newly founded Republic of the United States of America. Where the French sense of liberty then and the American new government parted were in the attitudes towards a divine nobility who inherited titles and estates because of their bloodline. While the American colonies despised such privilege, over time we find that whereas the titles of divine favors have passed, the practice of keeping the wealth and power of the nation within a privileged or patrician class seems to have taken healthy root in America. Thus, when we speak of a patrician class or Aristocracy in America we can make a fair comparison to them with the Old Regime of the French Aristocracy or the titles of England which continue to this day. ...The French Aristocracy were a landed nobility whose titles to offices and estates (and their income) were inherited. Next to them were the Clergy whose Bishops were also of the Aristocracy but whose estates were exempt from taxation as they are in America today. Next to them (together they made up about 500,000 of the population of 23 million) were the balance of the population who were called "The Third Estate." The Third Estate included everyone from the peasants to the Bourgeoisie and the higher ramparts of their class which included merchants, bankers, financiers, etc. Liberty was blossoming in France, following in the wake of the American Revolution, and barriers which in other nations prevented peasants from ever raising above their miserable lot in life were being torn down. As men left their farms to seek their fortunes in the cities of France, many succeeded to the highest levels of the nation and were, in fact, able to purchase titles and the estates that went with them from the crown. Louis XVI, sensing the rising conflict between him and the Aristocracy, thought to break down some of the Aristocracies' advantages by giving away titles himself. This, of course, aggravated the Aristocracy since the Old Regime of noble, inherited estates was now being undermined. By granting titles and admitting new entrepreneurs out of the Bourgeoise into the Aristocracy, rubbing shoulder to shoulder with the nobility as it were, Louis XVI only threw more coals on a fire which because of the Deficit was already becoming overheated. ...While the French system of government was different than ours, the problems they faced were functionally the same as we see in America today: first the Deficit, then the reforms to meet the deficit, which meant more taxes, and this was countered with the hew and cry from all sorts of places, previously heard in the American Colonies, No taxation without representation ! When the issues of "structural reforms" was raised, says Lefebvre, the battle began. As said, the debt was a boon to some whilst a disaster to the nation. The value of the livre fell as the debt increased, by which means those watching the event could invest--buy and sell--bonds and livres for profit. These, of course, did not wish to see any change in the present circumstances, and many of them were of the Aristocracy but most from the Third Estate Bourgeoisie financial quarter. In America we have a similar situation going on. While we do not have a titled nobility, as was in Europe, we do have an Aristocracy or Oligarchy, as you may prefer, whose estates control the destiny of American politics just as the Aristocracy controlled the destiny of French politics two hundred years ago. The American Aristocracy includes both the owners of old landed estates dating back to the foundation of this nation and the Nouveau Rich--like the up and coming French Bourgeoisie of two hundred years ago. Aristocrats all have the same motive, whether of two hundred years ago or now: to protect their estates (wealth and inheritance). To do this they take a serious part in the politics of a nation and, to protect their assets they must control their governors. In France two hundred years ago the Aristocrats filled the upper house of Parliament. Next to their House were two other Houses following the lines of the Clerical and Third Estate Divisions of the society. In the Old Regime before 1789 the three houses had equal influence, but in the reform package proposed at the moment of the Revolution were ideas of giving the Third Estate a Double Representation, which would give them leverage over the Aristocracy. Within the Third Estate, as noted, were the financiers, and they were in view of the National Debt beginning to throw their weight around, as would be expected, as they were then the principal parties keeping the government afloat by floating loans. Most of the Aristocrats had by then seen their wealth and estates dwindling away as they watched the new Bourgeoisie cut into the action which they once monopolized, and other reasons involving primogeniture, etc. More taxes, of course, were in the destiny of France; and the Aristocracy, being of a privileged class exempt from many taxes, felt threatened, and sought to turn the issue to taxing the Clergy's estates and, more importantly, adding a value added type of tax which would apply to everyone (sound familiar?). The Third Estate could not handle such a tax since it was unfairly biased towards the poor. Within the palace, as the nation was coming apart at the seams, the king was a laughingstock among his courtiers (including the Aristocrats — nobles). Queen Marie Antionette, in fact, was at the but of the rumors, and it seems that she had been flaunting her body around court a bit much and, with the affair of the diamond necklace in 1785, her reputation of being a bit of a whore (Louis XVI's children were said not to be his own!) became sealed. Though Louis XVI was jealous of his authority in countering the Aristocrats and laying out titles at will, he, says Lefebvre, was lacking in will, but honest and well-intentioned. Obviously what was going on around him as a result of the deficit was a bit beyond his head if you know what I mean. Who would dare to deny that the Third Estate has within itself all that is necessary to constitute a nation...Take away the privileged orders, and the nation is not smaller, but greater. At the time, because of the deficit, more pressure was being put on the peasants who then daily faced the tax accessor, knowing that the poorer one was the more he was taxed...Unlike our system – but the results are the same – taxes were farmed by nobles who took a percentage of the taxes they collected (like the Sheriff of Nottingham in the tale of Robin Hood in England). The Tax Farmers maintained granaries, etc., and while they were quite well to do and their granaries were bulging with excess the masses were starving. The trucking of the grains to market further aggravated the masses, for as their hunger-ridden faces watched loaded wagons passing by — some to the King's granary which also was overflowing — they began to riot and raid the wagons. Chasing after these sources, and being chased in turn by a wearying mounted police force (they began to lose heart in clubbing the state's victims and sympathizing themselves with the protests), beggars and the unemployed began to leave their own parishes, became as vagabonds and descended upon the towns. It was estimated that out of the 23 million population, 10 million of them were in need of relief, of whom 3 million were beggars. This is a sketch of the scene just before Bastille Day, July 14, 1789, at the height of harvest when the sun was scorching over the heads of the hapless beggars, when their fury reached its peak. It was time for Revolution to visit France. We are speaking in particular of those who control the wealth — and presently the future — of this nation. As with the Aristocrats during Louis XVI's day, so too are they beginning to get a bit nervous. The problem here, as George Soros pointed out [on the Television series, Adam Smith, on PBS aired 6-4-93], is that the entire G-7 nations are at risk of depression. Following this is the rather rude awakening that there is no where to hide one's wealth once the [sudden] collapse begins...George Soros's comments follow the fears of some of our senators who were not afraid to state on television that this nation is in serious trouble — like bankrupt! (in Louis XVI's case his treasury was empty August 24, 1789) and our bankruptcy seems to have begun when Reagan submitted his first budget (see "Against Leviathan" on this). We have been tracking the National Debt trend for some time, beginning with a conversation between myself and Wm. F. Buckley Jr. (Firing Line and National Review) between December 1992 and May 1995. Arguments in that conversation were offered in "Against Leviathan," "Duty and Profit," and "Immoral Coercion," and other works. Both Mr. Buckley and I agreed that there should be no more borrowing on the US debt, that continued borrowing would collapse the stock market and "sink us." Mr. Buckley was particularly afraid of a stock market collapse. Had he discussed through his media what he and I both agreed would happen with the continued borrowing, perhaps this crisis could have been mitigated. Mr. Buckley passed away in early 2008, just before the collapse. See an informative chart from the New York Times that compares the current stock market crisis to former events: nytimes.com, October 12, "New York Times chart: 'How this bear market compares"
1) Angelo Mozilo, founder of Countrywise who "popularized exotic mortgages to iffy borrowers"
2) Phil Gramm, Chairman of the Senate Banking Committee from 1995 through 2003 who played "a lead role in the writing and passage of the 1999 repeal of the Depression-era Glass Steagall Act, which had separated commercial banks from Wall Street. Then he inserta a provision into the 2000 Commodity Futures Modernization Act that exempted derivates like cedit-defalut swaps from regulation." 3) Alan Greenspan,.Federal Reserve Chairman whose "longstanding disdain for regulation underpinned the mortgage crisis"
4) Chris Cox, SEC chief who "had plenty of power to rein in risky behavior by such investment banks as Lehman Brothers and Merrill Lynch, but..chose not to"
12) Marion & Herb Sandler whose World Savings Bank "became the first to sell a tricky home loan called the option ARM. And they pushed the mortgage, which offered several ways to back-load your loan and thereby reduce your early payments, with increasing zeal and misleading advertisements.."
13) Bill Clinton, who as president of the United States "ushered out the Glass-Steagall Act and signed the Commodity Futures Modernization Act, which exempted credit-default swaps from regulation. 14) George W. Bush, who as president of the United States "embraced deregulation and allowed federal oversight agencies to ease off on banks and mortgage brokers...when SEC head William Donaldson tried to regulate hedge funds, he was blocked by Bush's advisers at the White House and quit. Plus, let's face it, the meltdown happened on Bush's watch. 20) Lew Ranieri, "..the father of morgage-backed bonds..."
In attempting to cut back on domestic spending while lowering taxes, Reagan's approach was a departure from his immediate predecessors. [Editorial note: From "Against Leviathan," Appendix. We also pointed out in "Against Leviathan" that George H. W. Bush had falsified the Balance Sheet of the 1993 Budget by hiding $100 billion in losses against the Savings & Loan debacle. He listed the $100 billion in a supporting schedule of the budget but did not carry forward that amount to the Balance Sheet. The deficit reported by the Bush I administration that year was $100 billion less than actual. This practice of burying unreported deficits was carried on by Bush II. In a recent address President Obama complained that Bush (II) had buried costs associated with the Iraq War, not carrying them forward as part of the Balance Sheet deficits. 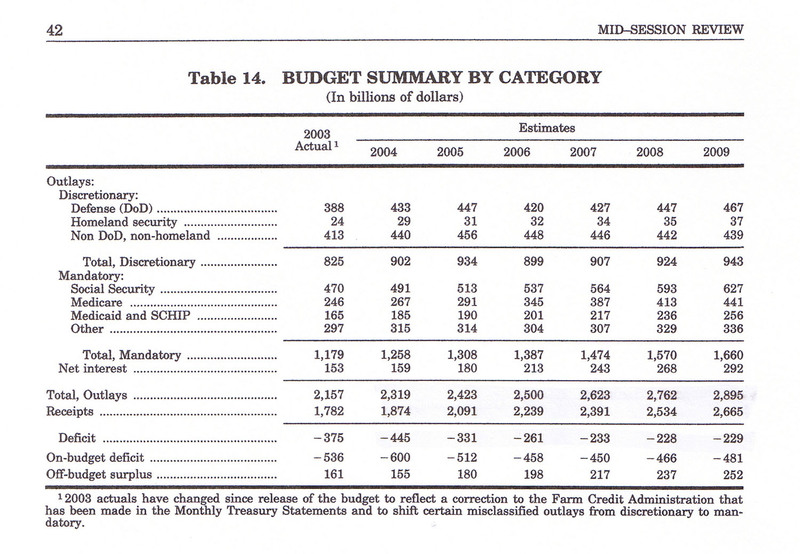 Obama's budget included the deficits attributable to Iraq and Afghanistan, unlike Bush's budget(s). We attacked the Law of Hell in our parable of Erikson's Reef, where we concluded that though the sharks are the mightiest feeders on a reef, there are processes at work on the reef which prevent the sharks from an over-kill situation. In contrast, we have the modern American, who is worse than a shark since he believes in his right of over-kill of all things. Looking at the earth as a garden, the worst abomination to it from all respects is an average American. For he is the most wasteful (uses 50% of the world's energy!) and irresponsible being on the planet. He reinforces his will with the highest towers and walls to be found, is the mightiest in the world at the moment, and justifies his over-kill through aphorisms that might gets right, the early bird gets the worm, etc. Apart from these values, his ministers on ethics discard other parameters of duty and virtue. This ultimately reduces down to defending those things which promote the interests of the wealthy; to hell with others. The interests of the wealthy in the American system of values is to consolidate as much wealth as possible — following the parable of Erikson's Reef — into as few mouths as possible. It's the Big fish eats the little fish idea which the American people have come to refine; and, as we pointed out in our opening argument in Against Leviathan, this ultimately devolves to the situation that the big fish has now taken a multinational form and, unlike the octopus of the British Empire, has acquired the habits of a much more vile creature. Instead of the old British octopus with tentacles stretched out to feed on the nations, the new multinational mutation has transformed the Old World Octopus into a glob of slime that first consumes its host and then engulfs others in its path. Picture this glob of slime seated over Washington DC, now engulfing the G-7, and creeping against the "developing markets" of the world. At the moment this foul creature already has perceived that its host is about to succumb, but it need not worry because within its slimy and scaling fingers are developing markets which are now replacing the American market as it collapses. You, Sir, are our witness that there is not one person in the Old Congress or Reagan-Bush [-now Clinton] Estate who has not annexed to his being panderers of all types. The underhanded dealings on our National Debt, which opened our argument in Against Leviathan, confirms our point. The procedures which Reagan first initiated and continue to this day, of claiming deficit reduction through robbing Social Security and other funds, is simply dishonest. What he, his regime, and the Old Congress have continued against the American people, with regard to hiding the effects of the debt, with regard to refinancing the debt through bonds whose effects are covered by lies; as regarding other acts of dishonesty on the effects of multinational corporations who skim our assets over-seas; as regarding lies about a growing economy when the economy is collapsing; and as regarding the lies of fighting inflation when the truth is to the contrary, of collapsing the economy through higher interest rates (so to roll over its bonds), so to refinance the growing, exponential National Debt. These frauds, though a list in part, came not from a body of lawmakers but a body of lawbreakers. Our first commentary on the National Debt may also be read at Maravot_Homepage _4.html and the update in Maravot_News.Trends.html. 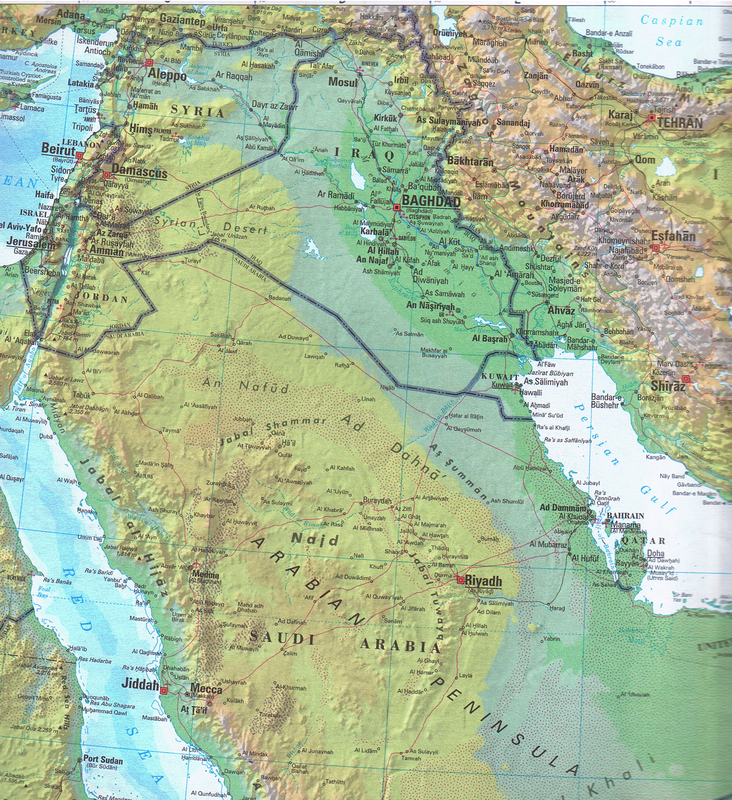 08.13.05 "Using force the George W. Bush way – Bush's Crusade"
11.25.04 Why the Crusade & Jihad? *Visitor statistics on maravot.com from 1&1. com. 46,153 page views in May 2007; monthly visitors in 2008 range between 40,000-45,0000..